For this July 4th weekend, I made dwaeji galbi, pork ribs, which is another Korean favorite BBQ dish. 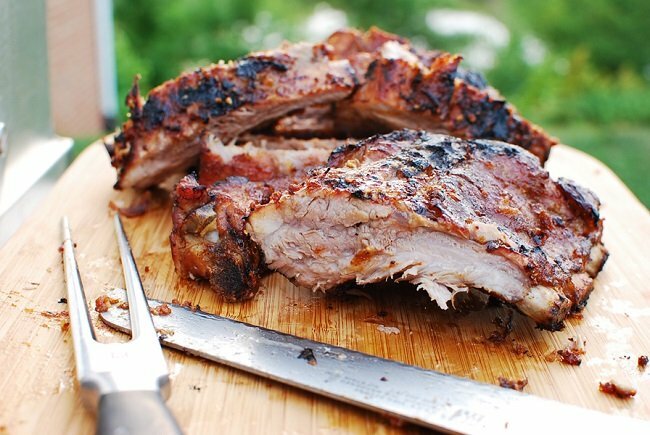 I like to use baby back ribs (aka pork loin back ribs) for grilling because they are tender and take less time to cook than that of spare ribs. This time, I made the ribs with two different Korean marinades. 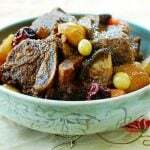 The first one is sweet and savory similar to the beef galbi marinade. 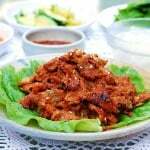 The other one is the traditional spicy pork marinade similar to that used in jeyuk bokkeum. It is slightly sweet with a lot of kick. 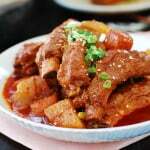 The secret to tasty Korean pork ribs is to use lots of fresh garlic and ginger. I usually roast the ribs in the oven, covered, at a low temperature and then finish off under the broiler or on the grill until they are slightly charred and caramelized. The ribs were a nice change from my usual dry rub and BBQ sauce version. Cut each slab of the ribs into two pieces for easier handling. Rinse the ribs and drain. 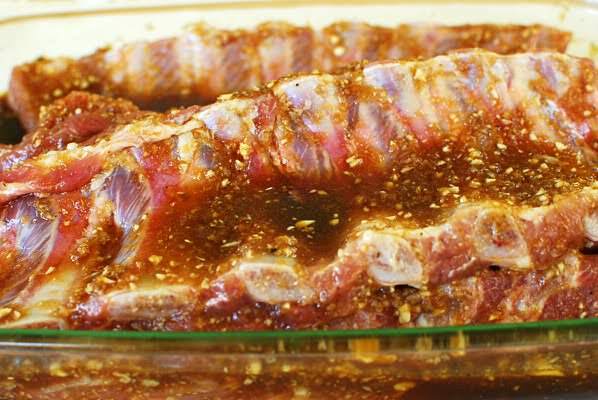 Coat the ribs well with the marinade, and marinate them for at least six hours (preferably overnight). Turn them over once after half of the marinating time has passed. Preheat the oven to 325°F. Line a baking sheet with aluminum foil. Arrange the ribs, meat side down, on a baking sheet. Cover the baking sheet tightly with aluminum foil. Bake them for 1.5 hours. (you can bake them 30 additional minutes if you want fall off the bones tenderness). Remove the foil cover. 1. Change the oven setting to broil and preheat for a few minutes. 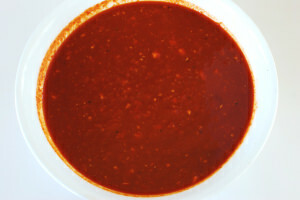 Then broil the ribs for 4 – 6 minutes on each side, or until the ribs are slightly charred, and the sauce is caramelized. 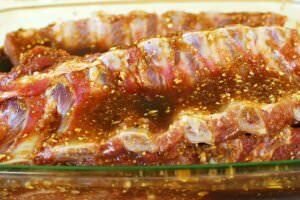 Baste the ribs with the sauce while broiling. 2. Preheat the grill and grill the ribs over medium heat for 5 – 8 minutes on each side, or until the ribs are slightly charred and the sauce is caramelized. 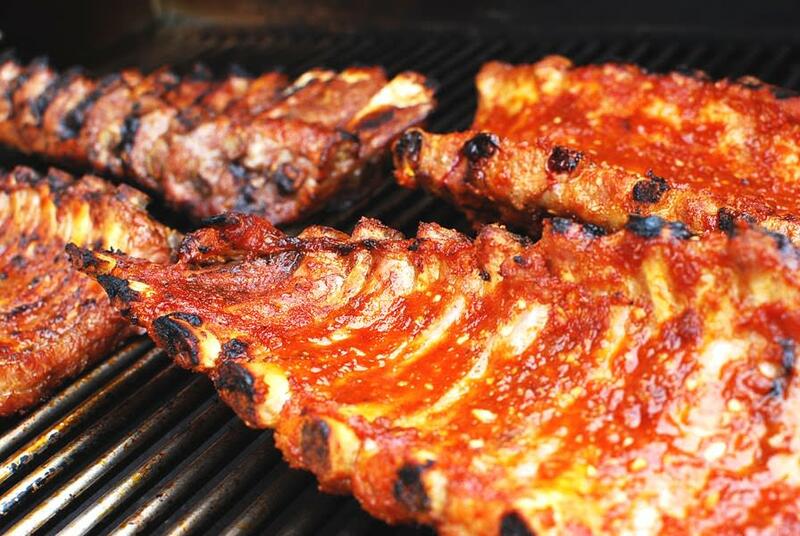 Baste the ribs with the sauce while grilling. Hi Hyosun! Thanks for visiting and leaving such kind words on my Tokyo post 🙂 I have missed blogging and all my blogger buddies but have been so caught up in certain projects that blogging just had to take a back seat. This is just gorgeous!! I love the flavor of gochujang just as it is, but adding all the other ingredients in the spicy marinade made the ribs just explode with flavour, I’m sure. Goodness, they really look absolutely mouthwatering!! Yes please!!! I want those this very instant! Hi Hyosan! I totally bookmarked this! I usually buy korean BBQ sauce (with the pear picture on it) and add honey….and that’s it. This will be a big hit in my family this summer!! Thank you, everyone, for such nice words. It’s very nice to hear from all of you. These ribs turned out so good that I am making another batch for some friends visiting tomorrow. I hope you get to try them too. 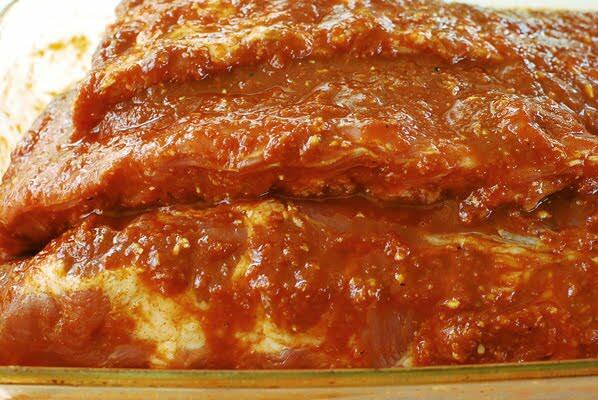 I am trying this dish tonight, well marinading tonight for tomorrow. Just had a quick question about what to serve with the ribs? Any suggestions? P.S. This will be my first time having Korean Ribs… can’t wait! Vickie – Any kind of salad will be good, especially with rice vinegar vinaigrette (http://eatingandliving.blogspot.com/2010/03/edamame-salad-with-rice-vinegar.html). Or, you can make a Korean side dish such as hobak bokkeum (http://eatingandliving.blogspot.com/2011/06/hobak-bokkeum-stir-fried-zucchini.html). A broccoli side dish will be good too. Hope this helps. Enjoy!! We made this last night and it was quite good! It was a bit watery while cooking in the oven though. Do you know what we did wrong? Thank you! Anh – Glad to hear it turned out quite good! It’s okay for the ribs to be a little watery. It happens because the ribs are marinated with a liquid sauce and baked tightly covered with the foil at a low temperature. This method steams them for tender and moist ribs before getting finished off under the broiler for caramelizing and charring. If they get too watery, you can remove the foil cover during the last 30 minutes or so of baking. Also, it will help to shake off excess sauce before arranging them on a baking sheet. Hope this helps next time. Thanks for taking the time to write me the feedback! Thank you for replying so promptly! I’ve stumbled across your blog less than 2 weeks ago and am enjoying it very much. I am embarrassed to admit that I did not discard the marinade when I placed the ribs in the oven. I guess that explains the “watery” bit. My little boy wants me to make your pork ribs again this week! That’s said a lot from a 9 years old boy. I lived in South Korea for a bit with my (now) ex-husband, and our favorite weekly dinner out was Dweaji Kalbi! I have gotten cravings for it,but no recipes I have tried have lived up to expectations (yet). This looks like it will! Thank you! Please let me know how it turns out. WOW!!! Made these ribs today for lunch and OMG AMAZING! I’ll definitely be these ribs a lot and sharing your recipe. I preferred the non-spicy version but, the spicy version was definitely really good too. 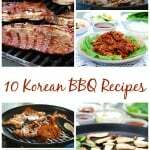 In my opinion, this is THE recipe for dwaeji galbi. It’ll save me a lot more money in what would have been korean restaurant visits. Thank you so much! I’m so happy to hear that, Samantha! Thank you so much for letting me know. Cheers! Hi, just stumbled across your blog and made these ribs (sweet and savoury) for a birthday dinner. They were amazing! I’ll definitely be using the recipe again. Thanks! That’s great to hear! Thank you for trying the recipe and letting me know how it turned out!! Thank you for sharing your recipes. I made the spicy ribs after I marinated them overnight, baked, & then grilled them. Unfortunately, the flavors did not penetrate throughout the meat as we would like. Any suggestions for next time? I made this for 4th of July and it was a HUGE hit that I’m making it again for Labor Day Weekend BBQ. Thank you for sharing this recipe, I can’t wait to try everything else. i just stumbled upon your website as i have a slab of pork ribs sitting in my oven. thank you for the recipe. my mom is not always on hand when i need such recipes. Thanks! Let me know how it turns out for you. Cheers! The ribs were great! We just finished eating every last one!! Awesome! Happy to hear that. Thanks for letting me know! If you don’t have any Korean market where you live, you can find those ingredients on-line. You can use other peppers, but the taste would be different because the Korean chili paste has unique flavors. Hope you can find the ingredients. Thanks! 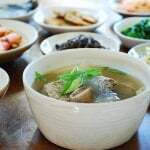 Is there something I can use instead of rice wine? You can use white wine instead. Enjoy! Made your recipe for my wife Birthday Dinner with her Family – JACKPOT! the pork was so tender and moist. The glaze lit up our tastes buds from all different directions. Thank you so very much for sharing. Aww I’m so happy to hear that! Thank you so much for trying out my recipe and letting me know how you and your family liked it. Cheers! I just made these for our 4th of July BBQ and they were AMAZING. Thank you so much for the recipe. What an unbelievable recipe! The ribs turned out amazing! Thank you so much for making my 4th of July meal a complete success! So happy to hear that! Thanks for trying it out for such an important event and letting me know how it turned out. Cheers! I made this recipe this evening and must admit that i was seriously disappointed. I marinated overnight, cooked covered at 325° for 90 minutes, broiled with leftover marinade, and . . . . . . . . .flat. I love Korean food and literally can’t think of any food I don’t like, but this, while not bad, just didn’t pop. No exotic or interesting flavors. Sorry to hear that, Earl! 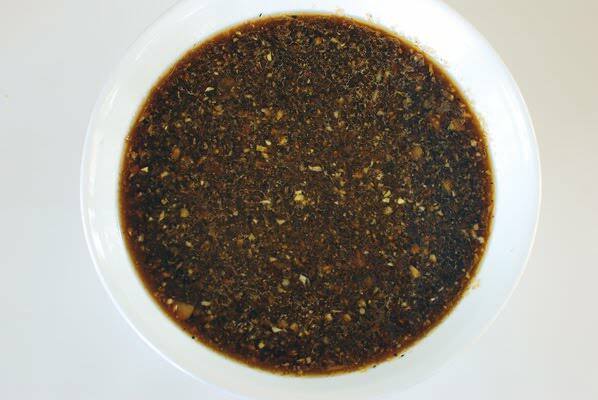 Which marinade did you use – sweet and savory or spicy? Did you use all the ingredients in the amounts the recipe calls for? I’m trying to figure out what happened with yours. As you can see, there are many positive feedback by others in this comment section. I don’t see a recipe for a sauce.. or are you basting with the leftover marinade.. I love Korean BBQ and am for sure gonna try the spicy marinade! Yes that’s what I meant. Enjoy! Korean cuisine is delicious. As a Texan, I enjoy taking other region’s grilling recipes and mash it with Texas barbecue cuisine. Unfortunately, for those on low glycemic or no-sugar diets, Korean cuisine has many recipes that include sugar, sugar syrups and honey. 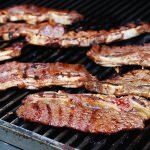 There is really not reason people on these diets should shy away from making Korean recipes such as this delicious spin on Kalbi at home. Just leave out the sugar or glucose ingredients OR do as I do and replace them with low glycemic, fruit alternatives such as Granny Smith Apples, natural apple juice, etc. That is how I adapted this recipe and it worked fine. 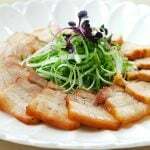 In fact, there was less tendency for charring or burning the pork ribs, because of the absence of the sugar and honey. Also, you can avoid the sugar levels of store bought Gochujang by using other Asian garlic chilli condiments with zero sugar. I also make my own Doenjang from zero sugar Japanese Aka Miso paste. Providing recipe notes with dietary alternatives for those on diets or with illnesses that preclude sugar would be a wise and helpful addition to your recipes.